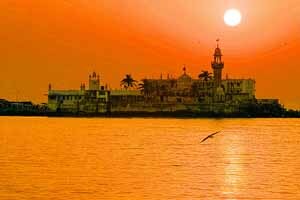 Mumbai, which was previously known as Bombay is a major metropolitan city of India. It is the state capital of Maharashtra . Mumbai city is known as the business capital of India, it being the country's principal financial and communications centre. The city has the largest and the busiest port handling India's foreign trade and a major Interntional airport. India's largest Stock Exchange which ranks as the third largest in the world, is situated in Mumbai. Here, trading of stocks is carried out in billions of rupees everyday. Discription about Mumbai/Bombay can not be complete without the mention of Bollywood, the biggest Indian film industry which churns out hundreds of Hindi block-busters every year. 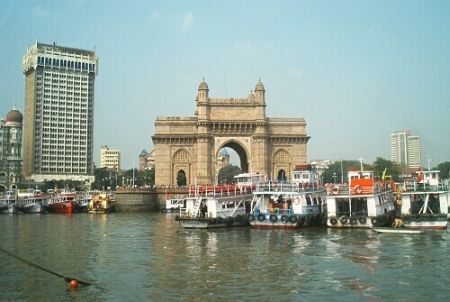 Mumbai (Bombay) lies on the western coast of India. It is a group of seven islands in the Arabian Sea which lies off the northern Konkan coast on the west of Maharashtra state in India. These seven islands which were once seperated by creeks and channels were filled and bridged over the years by the inhabitants. 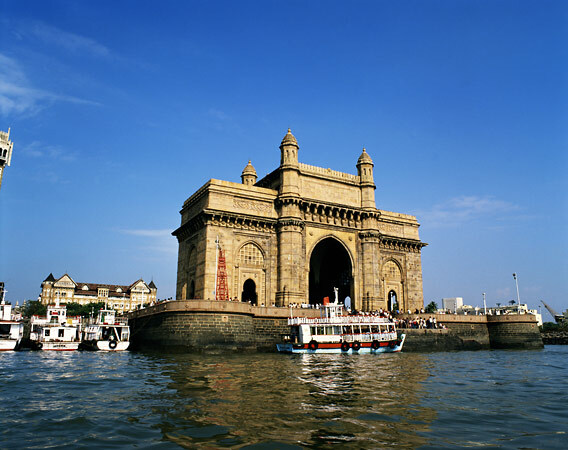 Mumbai (known as Bombay until 1995) is a group of seven islands in the Arabian Sea and a natural harbour on the west coast of India, and is the capital city of Maharashtra state. It is India's largest city, and one of the world's most populous cities. Estimated to hold about 15 million people (a census is on in the years 2000-2001), the city has grown dramatically in the last fifty years. 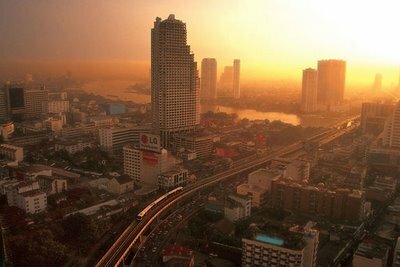 It is called the Commercial capital of India. It has the two largest Indian stock markets. Mumbai’s location is eminently suitable for day-long trading across time zones. The RBI and SEBI head offices are located here. Almost all major banks have their headquarters in this city. The city has emerged as a major Financial hub in the global chain of financial centres. Mumbai is connected with international routes by air and sea. It is at the forefront of Indian's development in business with the busiest international airport and the busiest sea port in the country handling India’s foreign trade. It also has a flourishing film industry. 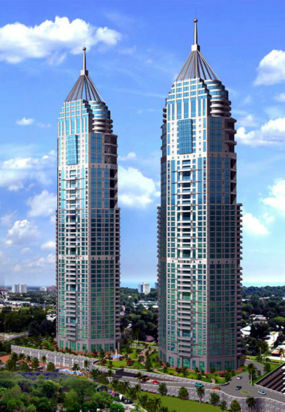 The core area called the "Island City" has the most expensive real estate in all of India. Munbai is also considered as the Seat of learning. It hosts some of the most cherished educational institutes of national and international repute e.g. Indian Institute of Technology (IIT), Tata Institute of Fundamental Research (TIFR), Mumbai University. Most of the year, Mumbai's climate is warm and humid. Between November and February, the skies are clear, and the temperature is cooler. From March the temperature becomes warm and humid till mid June, the beginning of monsoon. During monsoon there are torrential rains, sometimes causing the flooding of major roads and streets of Mumbai. The average rainfall which is brought by the south-west monsoon winds in Mumbai, is 180 cms. Monsoon ends by the end of September. October is comparatively hot and humid. 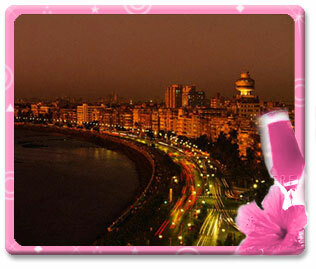 The Mumbaikar’s fondly and proudly refer to Mumbai as ‘Aamchi Mumbai’ (meaning Our Mumbai ). As Chairman of IET Mumbai Network for 2006-07, I am delighted to welcome you to have a glimpse at our new website. I do hope you will be able to extract the information that you are seeking and benefit from it. In case you need any other specific details, please feel free to get in touch with any of our managing committee members, whose names and contact particulars, are given separately. The IET – Mumbai Network comprises members who are working or residing in the States of Maharashtra, Gujarat and Goa. The main committee operates from Mumbai and our official address is that of the Hon. Secretary. We have a total membership of about 180, which include Fellows, Members. CEngs and student-members. The student sections in Pune and Nashik are very active and they have committed Counselors. The Managing Committee meets once a month to plan and review all activities. We have a definite planning and accounting system, devised by the IET HQ in the UK. Our general scope of activities is based on the same principles and aims, as proclaimed by the IET HQ. Over the past, we have organized many Technical lecture Meetings / Seminars, screened the Faraday lectures apart from social get-togethers and Annual General Meetings. The Network holds extensive workshops that deal with contemporary and relevant themes. These Workshops are addressed by competent and experienced engineers and conducted in an inter-active manner. The participants are drawn from reputed companies, Educational & Research Organizations and Railways. Our student sections conduct lecture meetings, quiz or technical paper contests, working-model displays and arrange visits to manufacturing plants, power stations etc. Both senior & student members are encouraged to participate in National / International seminars/ meetings. Over the past couple of years, we were fortunate to welcome 10 to 12 senior, but young engineers from Industry / Railways to become IET Members. These members, we hope, will be driving force of the IET, in future. We will continue our efforts to get more members, particularly, from Mumbai & Navi Mumbai. We want our Network to become a vibrant & active association of happy members, who will promote and take-forward the IET to newer arenas.